I love a bit of history. One of the coolest things about living in a place like London, in a country like the UK, is the sheer amount of history that surrounds us everyday. Anytime I go for a walk, or out for lunch, or into town, I’m always amazed at the glimpses of history you can see all around you. Imagine my delight, then, when I found Livi Michael’s trilogy of books covering the war of the Roses, that long and bloody conflict that ended the Platagenet kings and led to the Tudor ascendancy. I had enjoyed Succession and Rebellion, so was looking forward to the third and final installment of the series, Accession. A quick note on trilogies. Does anyone else get really nervous when they reach the final book in a series? I always get a little sense of dread, a worry that it won’t live up to the rest of the books. I’ve been known to avoid the last book in a series at times, simply because of the fear! Nevertheless I got over my trepidation and tucked into the book. Clocking in at a little over 400 pages, Accession is a great conclusion to the trilogy, with Michael weaving the story beautifully through the many ups and downs of the latter part of the War of the Roses. Taking elements from the chronicles of the age, she takes the reader on a journey from the murky depths of conflict to the crowning of a new sovereign. The characters are well drawn and compelling, and you are drawn in to the intrigues and machinations of the many parties involved from the get-go. 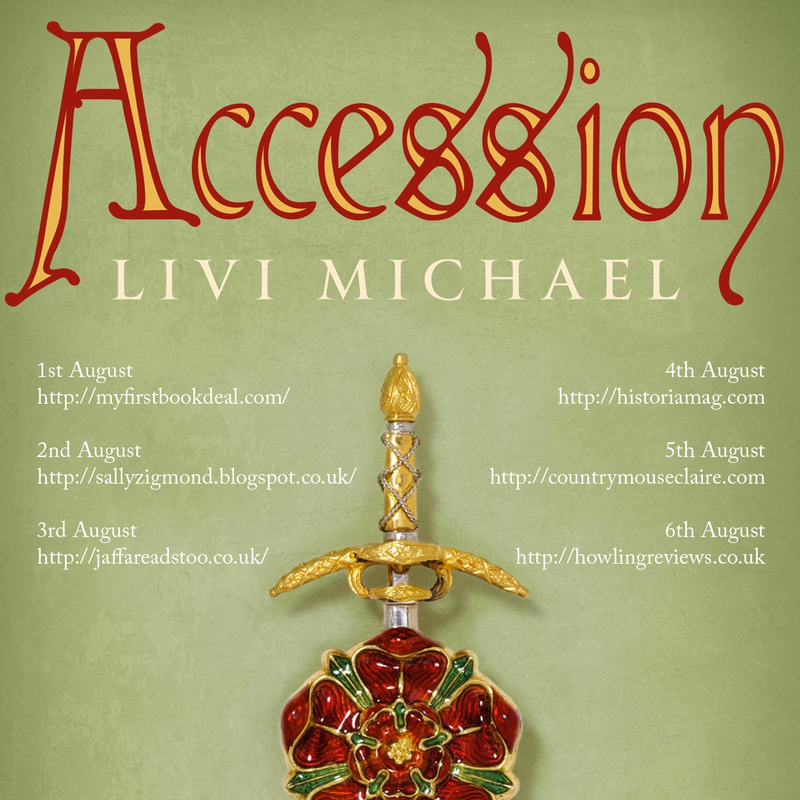 If you’re a fan of history, politics, or just great, compelling fiction, I’d thoroughly recommend Accession – a wonderful book about a challenging and epoch defining set of events in British history. A fitting conclusion to a great trilogy; I’m excited to see which era Livi Michael tackles next.